A heat pump moves thermal energy from a cold space and releases it to a warmer one, against the normal flow of heat. It uses some amount of external power to accomplish the work of transferring energy from the heat source to the heat sink. Air conditioners and freezers are good examples of heat pumps. There are many alternatives to heat pumps such as gas-powered heaters. But heat pumps have many advantages over other such devices. Energy consumption: Heat pumps utilize energy effectively and wisely. A good quality and well maintained heat pump consumes lesser electricity. Multiple functions: A heat pump works as an air conditioner during summers and as heaters during winters. Low-cost heating: The cost of heating with heat pump is less expensive than heating with natural gas or wood. Comfort: Heat pumps can be maintained at constant temperatures, which add to the comfort of the consumer. Safety: In gas heaters, there is a fear of hazards due to gas leaks. Since heat pumps work on electricity, there is no such fear. Air filter: Heat pumps filter air as they cool or dehumidify the environment. Air-source heat pumps: They take away heat from outdoors and give it indoors while heating. 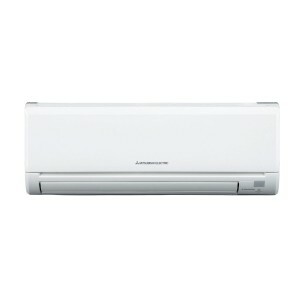 It is a reversible heat pump, and the action gets reversed when air conditioning is required. These pumps are available as ductless heat pumps and ducted heat pumps. Ductless heat pumps have an outdoor unit connected with the indoor unit through copper tubes and ducted heat pumps have larger outdoor unit connected to the building’s duct work. Ground source heat pumps: These pumps draw heat from the soil and transfer it to ducted distribution system. The temperature inside the ground is almost constant at 10 degrees. This feature is used for functioning of heat pumps. Pumps are practically hidden and operate silently. Water source heat pumps: Water is used to generate heat. Pipes are submerged in lake or river for draining or gaining heat. The initial cost of water source pumps is high due to extensive piping required. A well maintained heat pump used in right conditions give trouble free service. Always ensure that a licensed and experienced service provider installs the pump. Also ensure a continuous maintenance contract and warranty information are in place before you finalize on a particular brand. This entry was posted on Tuesday, January 28th, 2014 at 10:30 am	and is filed under heat pumps. You can follow any responses to this entry through the RSS 2.0 feed. You can leave a response, or trackback from your own site. Great blog. We install a large amount of Ductless Mini-Split Heat Pumps and have heard a lot of great customer testimonies. I have one in my own home and I love it. We are a huge supporter of heat pumps.